1- Supply of Osmanabadi & Local Goats for Breeding & Mutton Purpose in Bulk. 2- Farm Visit + Consultancy during Customers Visit- 500 Rupees Only. 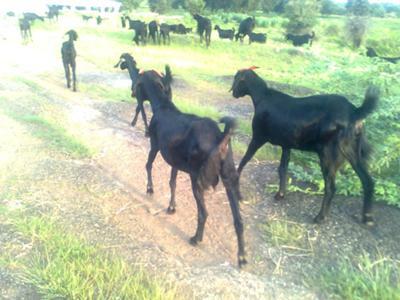 Osmanabadi Goats (Not for Bank Loan) with following topics - 1000 Rupees Only. Ø Expenditure - capital cost which is 1 time set up & running cost & profit for 1 year. 4- Can take construction contracts of Poultry / Goat / Sheep Shed also but only in A.P.